Hi everyone! 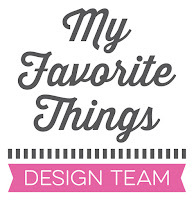 It’s time for the May My Favorite Things release replay! Today, the MFT design team is taking a fresh look at the most recent release. Most of the supplies I used for this project are linked in the link-up tool at the bottom of this post. I created a background using my alcohol inks. I thought it worked well with the underwater theme. I colored the mermaid with Copic markers, cut her out, fixed her to the background with foam pads for more dimension and added Stickles on her tail and bikini top. To finish off the card, I stamped the sentiment in black and added a lot of sequins. They look like bubbles. Such a fabulous card. Yeah. Love this wonderful background and the little mermaid is well colored. WOW!!! Your background is spectacular, Francine! 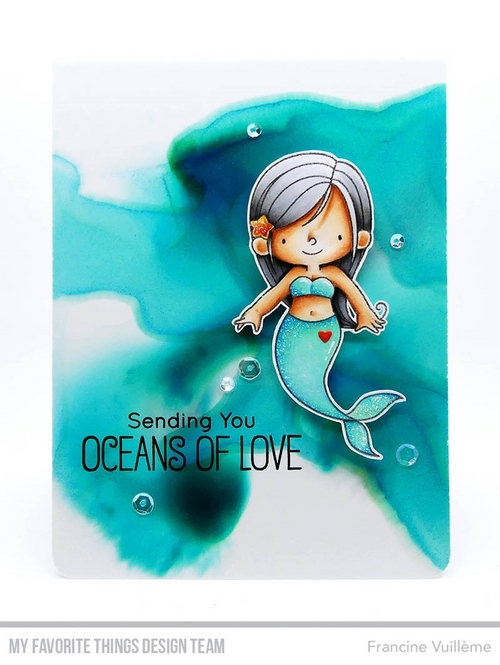 Such a beautiful way to showcase this darling mermaid and I love your details!